"No boss and no action hero, no state and no mafia money, women rule the world"
The German Final was held on March 8th at the Schauspielhaus in Hamburg, hosted by Thomas Hermanns. The winner was chosen by televoting and only the winner was announced. 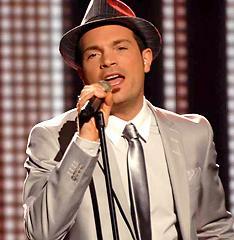 Roger Cicero came 19th at the ESC.